ICONYC is delighted to welcome German maestro Rauschhaus with his brand-new 'Visionary EP' to the label. The talented German producer has been a well-known entity within the scene and has graced some of the world's finest electronic music labels with his unique and lasting productions. Moritz, aka Rauschhaus who hails from northern Germany, Kiel to be precise, developed a unique style of music, full of ambiances, paired with despondent and warm dreamy patterns that guided him to where he is to today and embodies the sound he now personifies. People regularly equate his productions as opaque and vivid in equal measures. On his debut Rauschhaus leads with the outstanding opening track 'Epiphyse'; a stunning driving melodic progressive house affair. The track utilizes a deep groove as foundation, underpinned by a profound bass and smooth synth chords that gradually ease their way to the summit. Unified by a relentless kick drum and dusky atmospheric emotion, the composition climaxes by adding recurrent percussive elements and soft soaked melodies that come together to create a structured sphere of sonic satisfaction. Clever synth phrases complete the picture and create an ingeniously worked piece of art. The melodic soundscapes of the accompanying title track 'Visionary' round off this spectacular release. Moritz's influences are immediately evident as subtle freeform concepts drift through percussive inspired instrumentations. Rippling melodies trip along a deep kick that anchors an auricular montage to create a special sonic infused moment, accompanied by a subtle chord line that is going to leave a mark on your aural perception. Stunningly textured pads that warm the soul and a strong melodic infused bassline provide the base for this inspired piece to play out in delayed glory. Essential stuff! Rauschhaus has developed a unique style which endeared him to us; having establishing his credentials as a master of his craft. With his debut outing on ICONYC, Moritz takes his talents a step further to round off this brilliant underground 2 track crowd pleaser. 'Visionary' is certain to find its way into the playlists of the big-boys brigade. Another essential ICONYC release from the heart, for the dance loving soul. 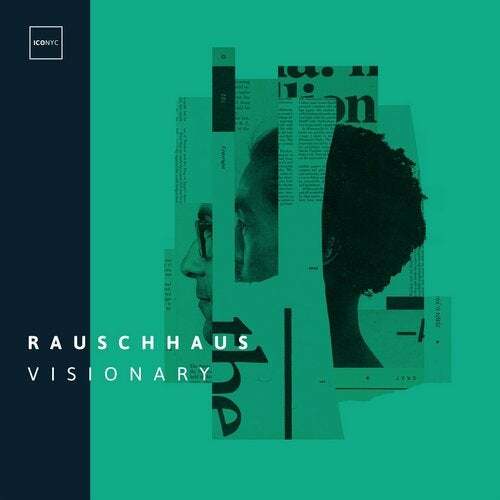 Rauschhaus 'Visionary EP' sees a worldwide release on April 15th, 2019. Not to be missed!